Ref: Security Mesh Roll Container. 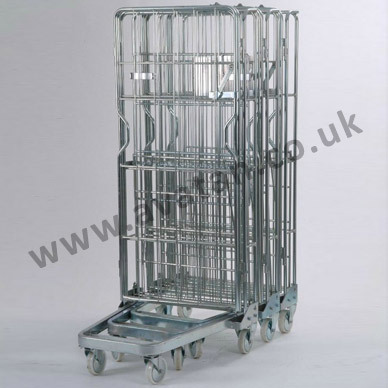 Adaptable nestable roll pallet cage of tubular construction with mesh infill in all sides, gate and lid. 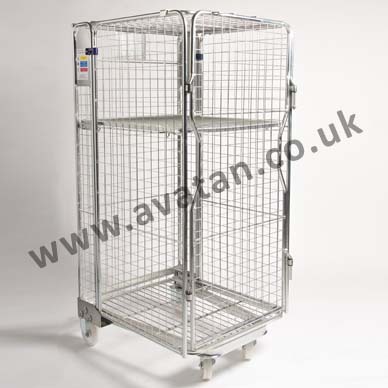 With all sides, gate and lid hinged to the rear frame, this unit will nest and fold flat for empty storage and transportation. 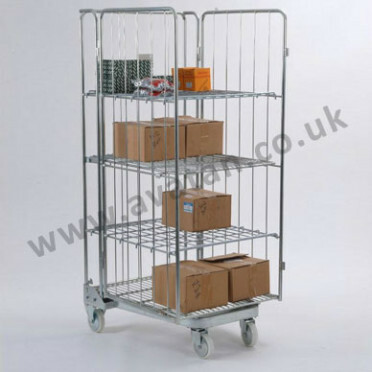 Fitted with an integral hinged mid height shelf. 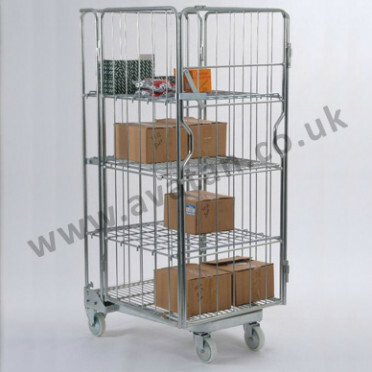 Generally mounted on two fixed and two swivel 125mm diameter nylon castors, but other wheel options are available. With the simple addition of seal or padlock this roll container can be made secure and pilfer resistant. Roll containers are routinely used for distribution and logistics with up to 150 nested containers easily fitting in a 13m trailer. Available for sale or hire. Long and short rental options available.